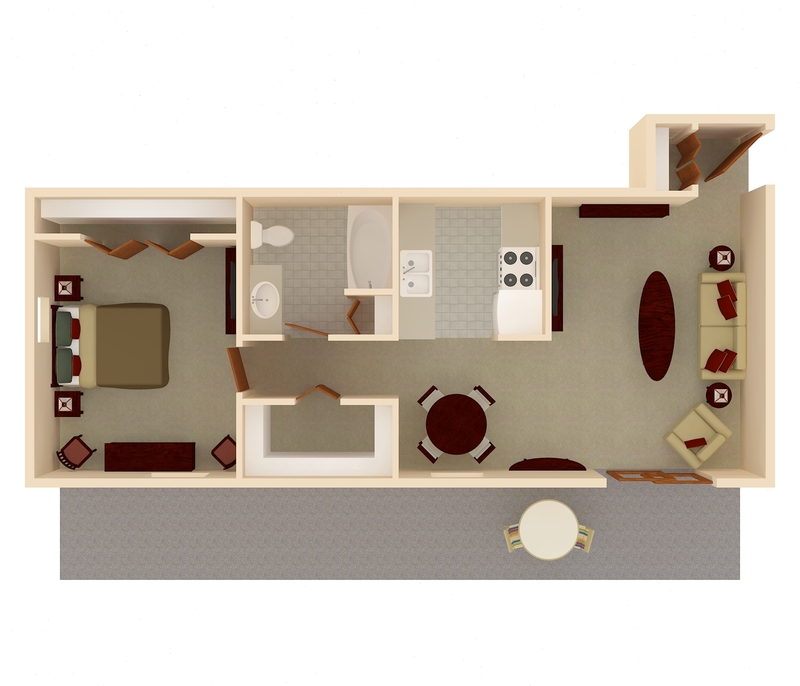 The Canyon - This one-bedroom, one-bath floor plan has a large eat-in kitchen, a spacious living room, and a hall closet. Rent this 600-square-foot apartment home from $525. 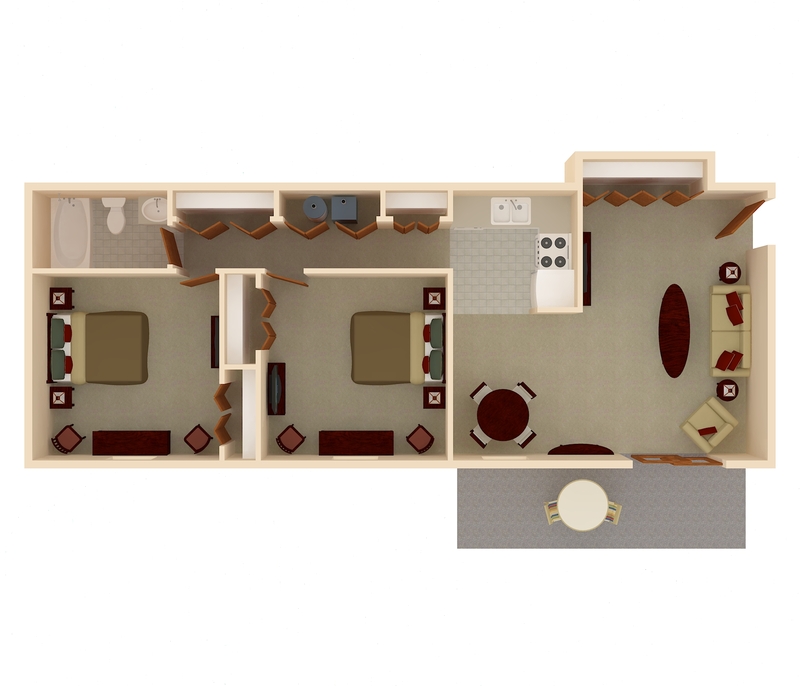 The Ravine - Enjoy 800 square feet of living space with this two-bedroom, one-bath apartment. You’ll find a large eat-in kitchen, ample closet space, a private patio or deck, and washer/dryer connections. This floor plan features 800 square feet of living space and rents from $675-700. 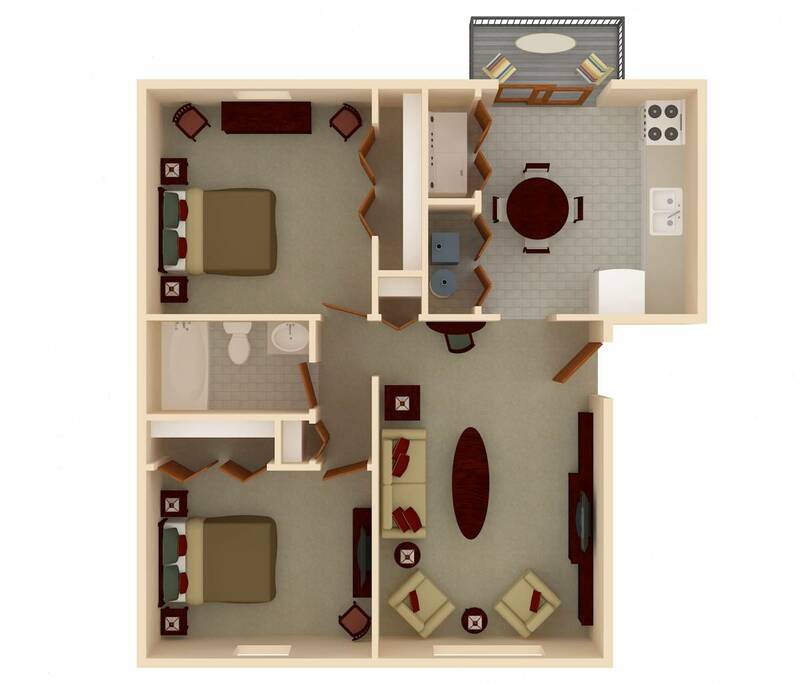 The Glen - Spacious and comfortable at 830 square feet, this two-bedroom, two-bath apartment features plenty of closet space, an L-shaped kitchen, and a great room with dining area. Get this floor plan, priced from $625-650. The Valley - Choose this one-bedroom, one-bath apartment home and you’ll enjoy a foyer with coat closet, a galley-style kitchen and separate dining area, a large walk-in closet, and a full bath with linen closet. 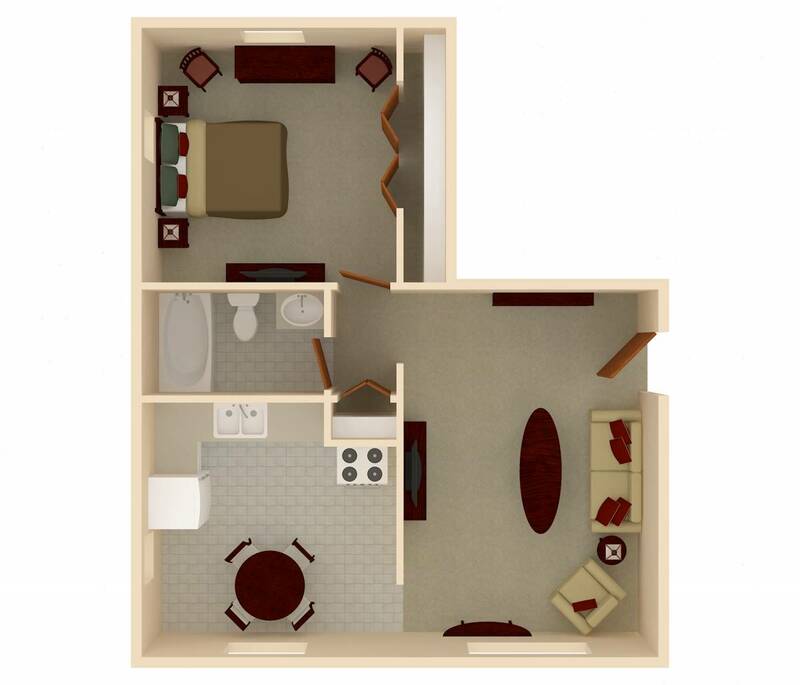 This floor plan is 600 square feet and is priced from $550-575.